The Siracusa Institute has worked in Iraq since 2002, organizing 14 technical assistance programs in human rights, rule of law, and postconflict justice. Among the 745 participants were jurists, law enforcement officials, justice operators, Iraqi government officers; additionally, 209 international experts were involved. One result of these programs is the issuing of 10 publications. These technical assistance programs have been conducted with cooperation and financial support from: the Department of State of the United States of America; the Iraqi Special Tribunal; the Regime Crimes Liaison Office, U.S. Department of Justice; the International Human Rights Law Institute (IHRLI); the Ministry of Foreign Affairs of Italy; the Ministry of Human Rights Affairs of Iraq; the Penitentiary Administration Department, Ministry of Justice of Italy; EUJUST LEX, European Mission in Iraq; the United Nations Assistance Mission for Iraq (UNAMI); the United Nations Office on Drugs and Crime (UNODC); the United Nations Development Programme (UNDP); the Ministry of Interior of Iraq; the Ministry of Interior of Egypt; the Department for International Development (DFID), UK Government; the Department of Public Security, Ministry of Interior of Italy; the United Nations Office for Project Services (UNOPS). The Institute worked to link human rights, the rule of law, and post-conflict justice to the broad processes of national reconstruction in Iraq. ISISC coordinated its own efforts with those of the Supreme Court, the Iraqi government, faculties of law, and others in support of rule of law capacity-building. 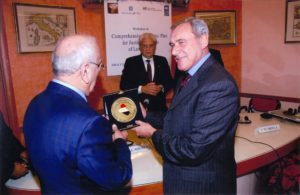 More specifically, the Siracusa Institute contributed to a number of initiatives in Iraq, such as the reform of legal education, justice training, the development of new legal institutions, support for gender equality, and assistance to the Supreme Court and the Ministry of Justice in the development of a comprehensive plan for justice sector reform. The Institute worked to promote the adoption of a more comprehensive approach to rule of law as a central component of national reconstruction. The Institute’s consultants conducted research, training and advocacy on post-conflict justice, designed and managed conferences on governance issues such as federalism and domestic security, provided training and capacity-building for members of the Iraqi Special Tribunal (now the Iraq High Criminal Court) and assisted in the development of a comprehensive rule of law program for the Iraqi justice system.